Festival fun abounds this weekend, with the Ballard SeafoodFest Friday through Sunday, July 13-15; Viking Days Saturday and Sunday, July 14-15; Seafair Milk Carton Derby Saturday July 14; and Mercer Island Summer Celebration Saturday and Sunday, July 14-15. 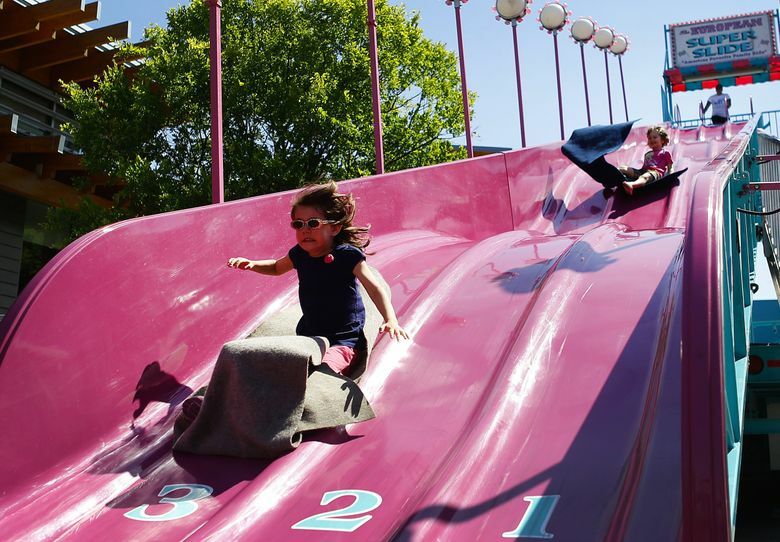 Ballard SeafoodFest, a tradition since 1974, fills downtown Ballard with a salmon barbecue, Crab Shack and other food vendors, live music, beer garden, arts and crafts vendors and kids activities. On Sunday, watch in wonder as 10 contestants compete over who can eat two pounds of Scandinavian lutefisk the fastest. With the addition of Viking Days on Saturday and Sunday on the grounds of the Nordic Museum, Ballard’s Scandinavian party is even bigger this year and coincides with SeafoodFest for the first time. Saturday’s festivities begin with the Run Like a Viking 5K and Viking costume contest, followed by events all weekend, including a Swedish pancake breakfast, entertainment, food vendors, kids activities, vendors, Viking Village re-enactors, displays and activities. On Saturday, one of Seafair’s signature events, the Milk Carton Derby, takes over Green Lake, as participants race in 100 boats of all shapes and designs created out of milk cartons, with dryland activities including food and beverage vendors and a beer garden. Mercer Island Summer Celebration’s tropical “Island Vibes”-themed events will include arts-and-crafts vendors, a food fair, kids rides and more Saturday and Sunday at Mercerdale Park, and a parade on Saturday. Summer Celebration festivities move to Luther Burbank Park Saturday evening for a “Luau on the Lake” with flower leis for the first 500 attendees, hula performance, a magic show, Caribbean steel-drum music, food trucks and inflatable rides for kids, all leading up to a fireworks show. Free shuttles will be running Saturday evening between Mercer Island City Hall and Luther Burbank Park. For a complete list of more festivals and other activities, see today’s Datebook. Luther Burbank Park: 6 to 10 p.m. Saturday, July 14; fireworks approximately 10:15 p.m.